Lines hit : E's & F's, GG's, N's, RR's, CC's, A's, D's, 1's, 2's, 5's, 6's, 7's. 1) When, and where did you start writing? 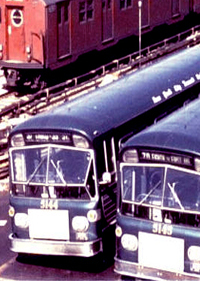 I began writing in the 1970's, on the BX13 Bus line in the Bronx. There was a popular donut shop along that line, called “Wally’s”, that was run my “Pops”. Pops would encourage me, and the others to go out and “do our thing”. It was a great place where bus drivers would come in to get there coffee, tea and munchies, or just to read the paper. When I first started writing, I would write with chalk and cut it from the sides, which ended up writing like a uni-wide marker. 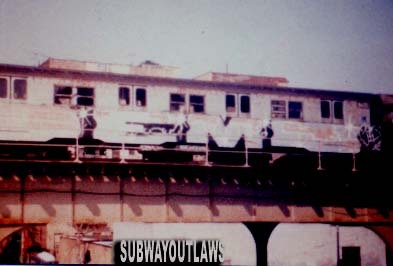 I later made the transition to the uni-wide makers and then to paint, along with the crew’s that use to hit the buses back then. 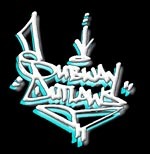 Some of those crew’s, were the “S.B.K” (Soul Bus Killers) crew and the “S.K.” (Soul Killers) crew. 2) You started off as a bus writer.…Who would say were the “kings” of the buses back then? I am not sure who the king was back then, it was more the thrill of seeing your name go by that inspired me. It was a joy! The first writers that I could remember meeting back then in the Bronx, were FDT56, HOY56 and the rest of the 56 boys. My favorite spot to tag was on the rear door, because I could not reach the windows at that time. We use to “kill” all the buses out in the Bronx and would see them switch over to Queens and Manhattan. 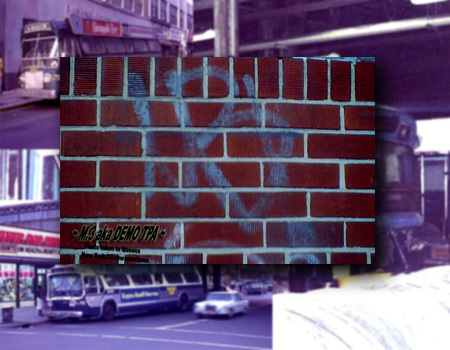 A writer’s tag would get known all over the city, by just hitting the buses since they went through different boroughs. Later, the trains became a real drug for me. 3) Who were the first writers you saw in the earlier years? Who would you say inspired you? Some of my inspirations back then were those who I saw in the earlier years; DISCO 3YB (who was originally from the Bronx and then moved to Queens in the mid 70's), FDT 56 and FLINT among others. 4) What bus yards did you hit mostly and who was your main partner while doing them? when I moved to Queens because it was brand new and like no other depot I had ever seen built in 1971... ultra modern...one of my favorite partners was FORCE 5. He was a crazy dude with hands like a vice grip and was in Service for a while. I could remember a time we were hitting the bus yard And the workers started to chase us, FORCE 5 stopped running and told them " To bring it on " . The workers stopped chasing us and stepped back and walked back to the depot, right There I knew I had to hang out with this guy. 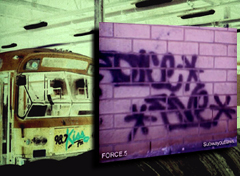 FORCE 5 was a real big Puerto Rican dude that was always in and out of the service, He was also Originally from the Bronx. 5)Can you tell us about your first experience bombing the trains? my first experience in bombing the trains was at the Parsons Boulevard platform, where the trains were laid up on the southbound side. There were never any customers on that side and you could do high floaters with ease, and plenty of light. 6) How did you come up with the name DEMO? audience was much larger and I craved the fame. 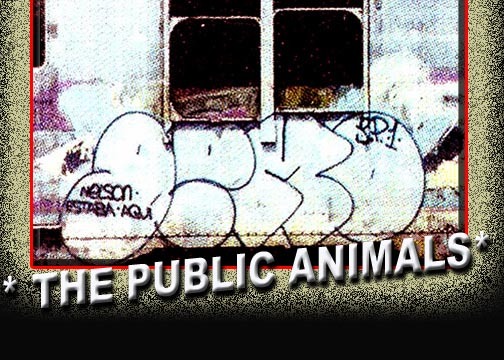 7) TPA (The Public Animals), is one of the biggest groups in history; Could you tell us how it all started, as well as, name all the original members of the group and those that came after? 8) What was the main (train) line, and all the other (train) lines you hit back then? the main lines we hit were the E & F trains, because it was our home line (even though we lived no were near the train station). 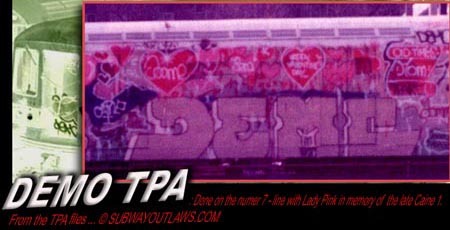 The reason we became huge bus writers was because, whenever we went bombing we had to take the bus to the train. It was great because we went all over the city on the subways. 9) Do you have any racking adventures you could share with us? my main racking partner, was PUBO, he was by far the one who most looked like a criminal, of the group. Anytime he entered a store, he would get all the attention, while I cleaned house. It was an art form we would master over the years. I remember a time me, FUZZONE and FLAME wheeled a whole rack of paint down the street that we had snuck out of a “mom and pop” paint store, in Long Island. There where “mom and pop” paint stores all over the place, on the borderline of Queens and Long Island (where, I later moved). Also there were plenty of art supply stores to choose from, where in the Bronx every thing was hot. 10) Can you tell us all of the writers you wrote with over the years? Who would you say was your main writing partner? 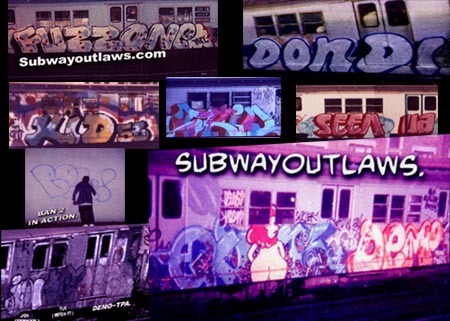 I wrote with many writers over the years from IZ THE WIZ in the Pitkin lay ups to DONDI in the 2 yards, KID56 aka K56, FDT56 and M56 in P.S.135 (before the bomb), KC3 Jamaica Ave king, BAN2 aka DELI167 and MITCH77 in the Bronx, T-KID 170 in the 1 tunnel, MIN aka NE, ZEPHYR, REVOLT, SKY2 aka LO, FUZZONE, JOEY TC, FLAME PIC, KB TSS, LADY PINK, LADY HEART, SCOP, EKO TKC, DJ FUZZ, SIR TKC, CER TPA, LUST, PG 3, SPLIT CITY, KAP, PW , KEVIN97 aka EX~1 Van Wyck Park, SEEN at the hall of fame , ERNI aka PARTY PAZE and MIDG top to bottoms Gun Hill Road lay-up photos by Henry Chalfont, CEY CITY at the E and F's Kew Gardens lay up's, going all over the city with QUIK ... QUIK was a great partner... we would get raided and just go to another yard, like it was no big deal. 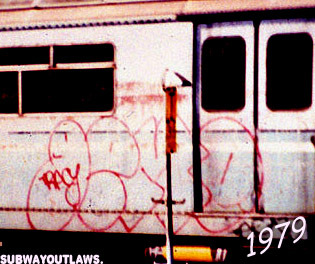 11) In the late 70's and early 80's, real estate was hard to come by on the subway cars. 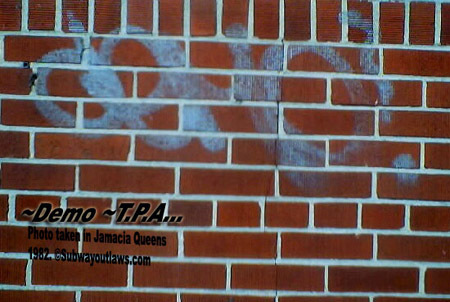 Did you or the TPA crew have any wars with other writers? Or, any other groups? 12) Curly and Ferrari where the baggiest vandal cops on the 7's, E's and F's, Did you ever have any runs in with them? Or, would you have any interesting stories about them? 13) Would you have any raid stories you can tell us about? 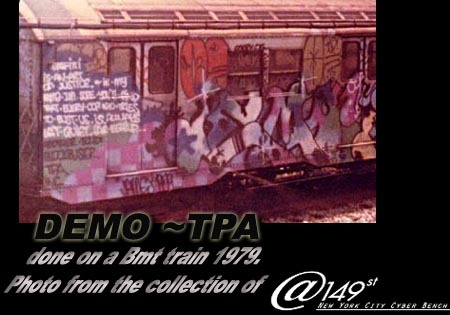 Once at the 111 st station lay up, on the J train, we got raided by police that came in on a train. The doors opened and police jumped out in the lay up. There were about 30 cops in white jumpsuits and uniformed transit police at both platforms. We had to climb down the l pillars and jump onto Jamaica Avenue where we had to cab it home. SIR TKC, and myself made it home safely. 14)What writers do you feel are truly over looked in our history? I think we were all over looked. We were a great part of our city's history, but some of the early writers like DISCO 3YB never received their dues, although, he did have a piece on the “Welcome Back Carter” television show. 15) When did you stop writing? Why? I quit in 1984 after going out on tour, because I began to make money and the attitudes about bombing had changed. I had great times but the police became tactical and proficient, and the penalties became more and more severe. Just wanted to say “Thanks for the trip down memory lane, and I look forward to seeing all the old timers at the next gallery opening”!